but also why a person may want to vape. 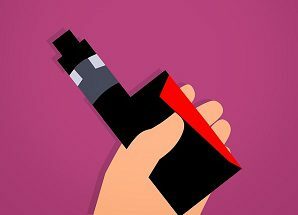 Share why you don’t want him/her vaping, and remember, it’s important to avoid scare tactics. Be honest. 7. Model healthy behaviors. If you come home from work and discuss what a tough day it’s been while popping open a beer, pouring a glass of wine or smoking a joint, you are conveying this is how you handle stress. It’s healthier for your child — and you — if you take a walk with the dog or a bath or go for a run rather than turn to substances as stress busters. 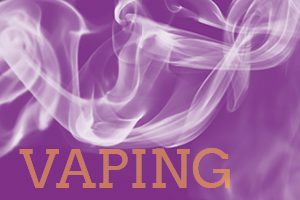 Learn more about the new vaping trends, including vaping marijuana, and what you as a parent can do about it. I found a white cotton like substance in the bottom of about 15 juul pods found in my 16 yr.old room and nonody knows what it is .Can you help.also police will not test it for me.really? I think it’s a topic that needs to be discussed very early in a child’s life. Yes not every teenager who smokes weed is going to destroy their life doing so, but the risks are very big that it could contribute to something going wrong brain wise – just like alcohol. Use age appropriate language and topics but build up that discussion so it becomes second nature to discuss and re-inforce. If you don’t want your kids to smoke or vape, don’t smoke or vape yourself. What do you do if none of that works and everything turns into a confrontational argument? I have the same issue my daughter who is 17 sees nothing wrong with marijuana at all. I fear for her safety and everyone else. I tell her to stop and a bomb goes off. We just had an 18 year old high school student shot and killed by 4 adults/kids for 4 of these. What a waste of 5 lives. dawn, I can confirm that weed doesn’t make a child a homicidal maniac. it’s more of the way the children are treated and not getting proper care such as therapy or the problem not being addressed with authorities. maybe it would be best to sit down and first say that you want to talk and know where she’s coming from and why she smokes weed. it may be or chronic pain which weed has been proven to help with (mostly CBD) or it may be stress/anxiety which is one of the main reasons teens 13-20 smoke weed. hear her side, don’t shut her down. and maybe even try asking questions. don’t lose your cool though. listen to her. dont cut her off. it may make her lose hope in you understanding her. but dont go into the conversation saying things like “drugs ruin your life” or “weed makes you stupid” because maybe she would take offense to that. so its best to just hear her out.